Dining places inside villages or subdivisions provide a convenient hangout for tweens and teens, and for moms who would rather pay for cooked food than work the kitchen. These dining places usually offer a casual or homey ambiance, healthy, freshly cooked, and budget friendly food options. 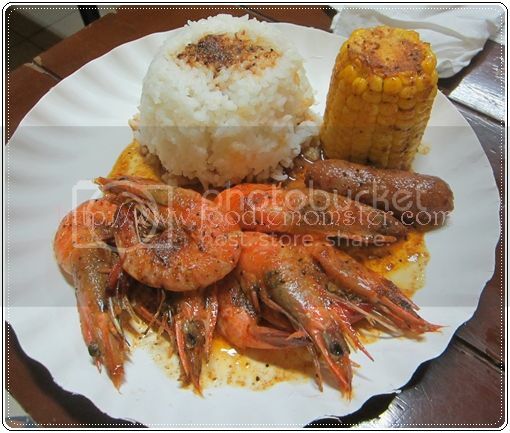 One of our regular friendly neighborhood hangouts in BF Homes Quezon City is the Shrimps and Wings Restaurant. Located at Don Matias cor. Holy Spirit Drive in Q.C., Shrimps and Wings offer a unique way to enjoy the all time favorite fried chicken. 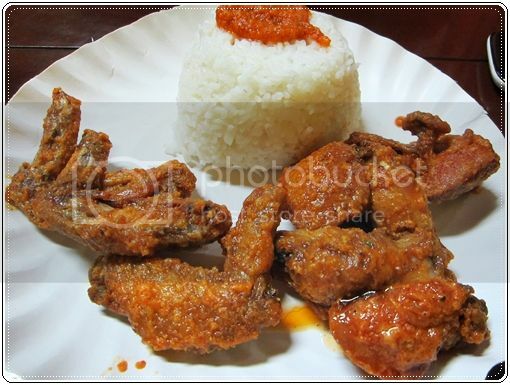 Their signature dish is the El Tamarindo, half a dozen freshly cooked fried chicken wings coated with a tamarind flavored paste and served with a cup of rice topped with tamarind paste . The sour-salty flavor that coated the crisp fried chicken wings provides a refreshing change to the usual soy garlic or flour covered chicken wings from fast food restaurants. The Kicking Wings is the spicy version of this dish and my personal favorite. It has just the right amount of kick for those who want some spice without burning their tongue. If you want to explore the taste of cheese and butter on crispy fried chicken, then try the Cheesy Butter Wings. Other Shrimps and Wings dishes that can make your food adventure interesting include the Flying L and P, Shrimps Ahoy, and Jumbo Garlic Weiner. They also have pasta and dessert that go well with their chicken flavors. The pricing and portion of their add-on side dishes is just right with small servings available for as low as Php10 only. With sidings served in small portions, you have some control over the amount of extra food that you order and minimize the risk of having left over food. 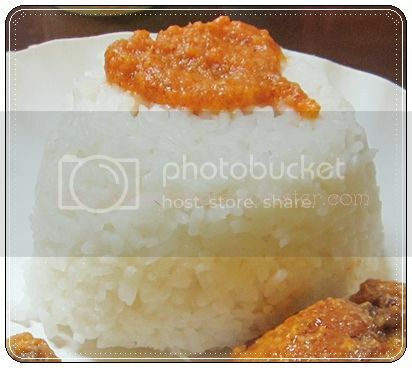 This food shack serves fresh and flavorful meals at budget friendly prices, something that foodies will find hard to resist. It’s a nice place to bring your friends and family together and chat while munching on the crunchy and tasty chicken wings and sidings. So whenever we crave for an alternative to the classic fried chicken, Shrimps and Wings is the place the go. Yummy yummy, for sure i will visit ur place once im back home . Good luck guys!